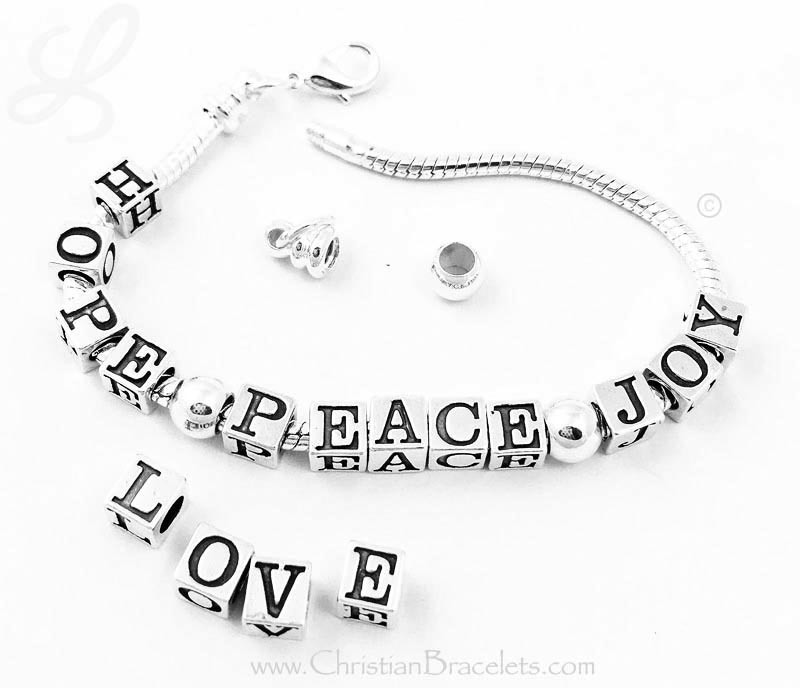 During the 2nd week in Advent YOU add a spacer bead and PEACE while you celebrate the theme of Peace. 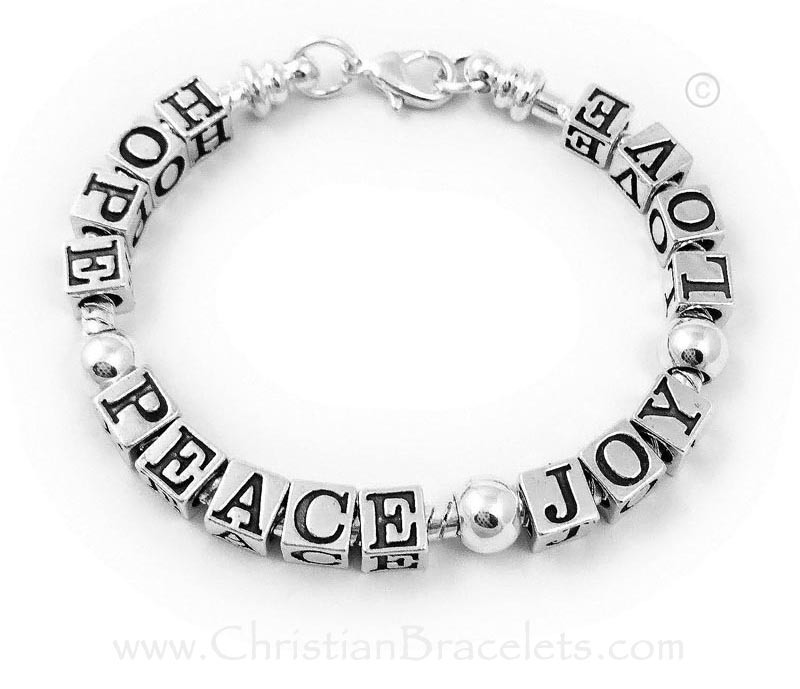 During the 3rd week in Advent YOU add another spacer bead and JOY while you celebrate the theme of Joy. 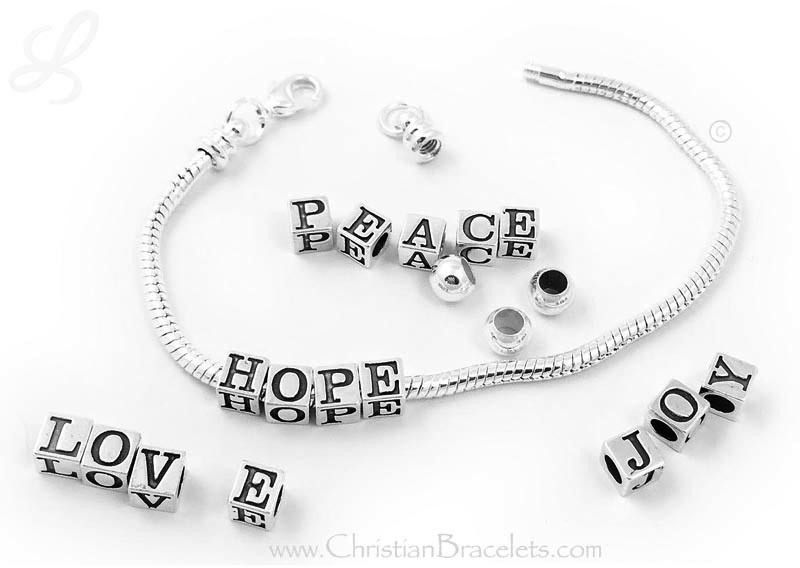 During the 4th week in Advent YOU add another spacer bead and LOVE while you celebrate the theme of Love. 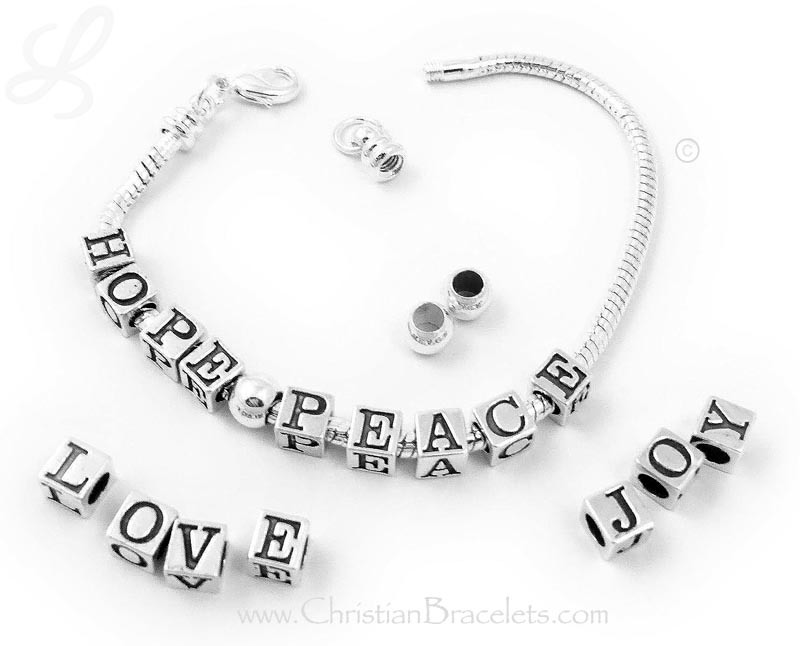 Materials: Bracelet is .925 silver plated everything else is .925 sterling silver. 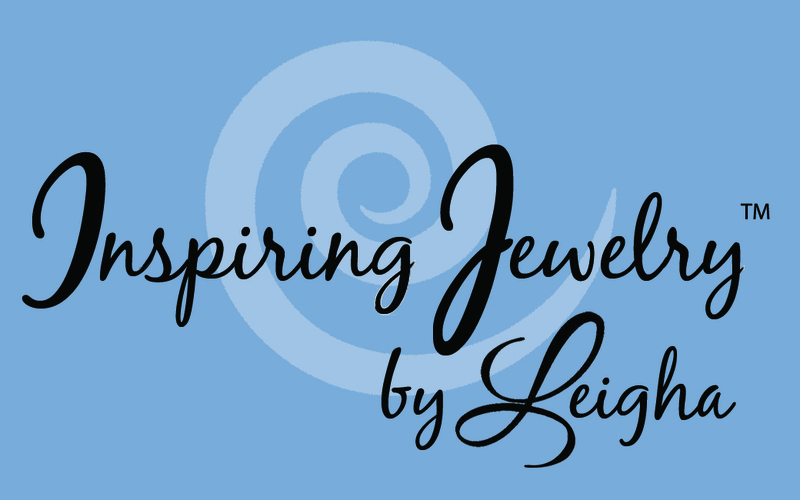 Shown on a snake bracelet. You add another word each week during the Advent Calendar and celebrate each theme. Add another word when you light the next Advent Wreath. 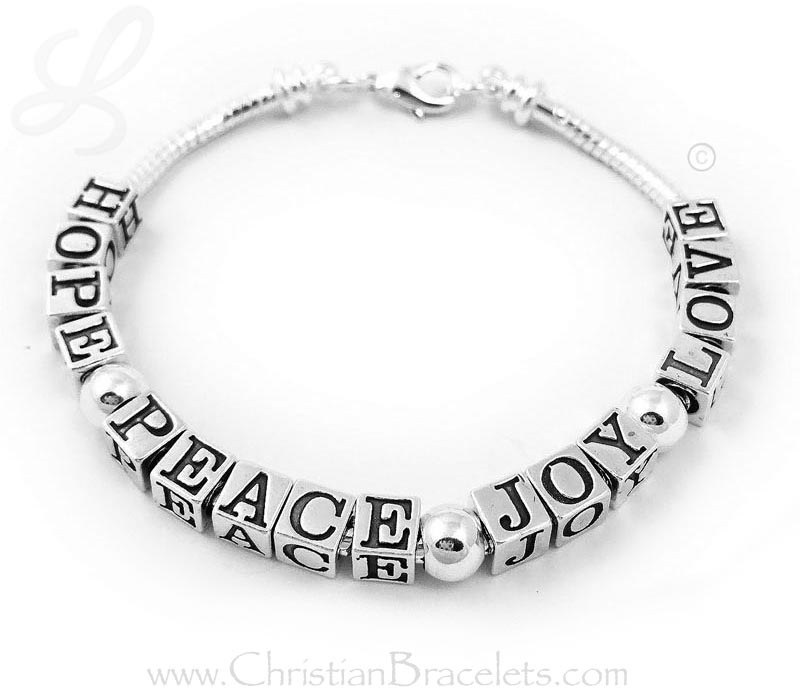 Advent Calendar Bracelet - Add JOY during the 3rd week of Advent. Advent Calendar Bracelet - Completed bracelet during the 4th week of Advent.